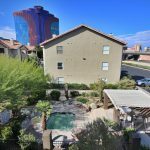 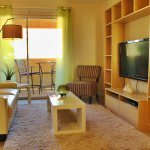 This fully furnished 1 bedroom condo is located near the heart of Las Vegas, neighboring the world famous main strip hotels and casinos. 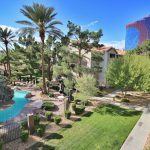 The Palms Casino and Resort is within walking distance from the property and the Rio Casino is just across the street. 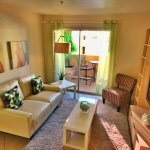 The Flamingo Palms community is pinpointed right off the I-15 Freeway making it a convenient drive anywhere in the city. 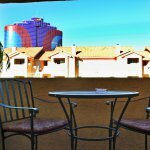 Decorated with a “South Beach” flare, this unit is located on the second floor and has a glowing view of the Rio Casino. 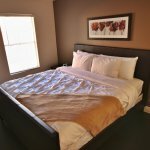 The interior includes tile flooring, hardwood in the bedroom, and granite counter tops; along with a king size bed in the bedroom. 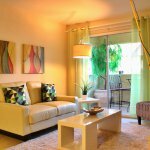 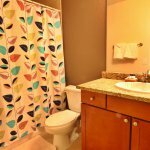 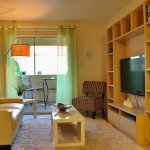 Fully furnished with housewares, kitchenware, towels, linens, and a designated laundry area with a stackable washer and dryer. 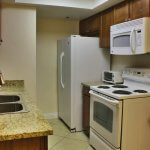 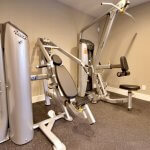 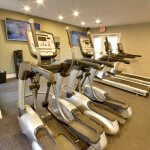 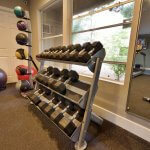 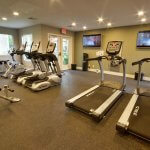 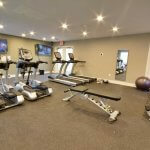 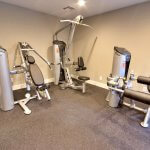 All the utilities, cable TV, and Internet WIFI are included in the affordable monthly rate. 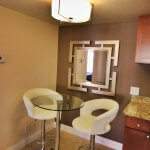 Just bring your suite case and enjoy your Las Vegas short-term home away from home!